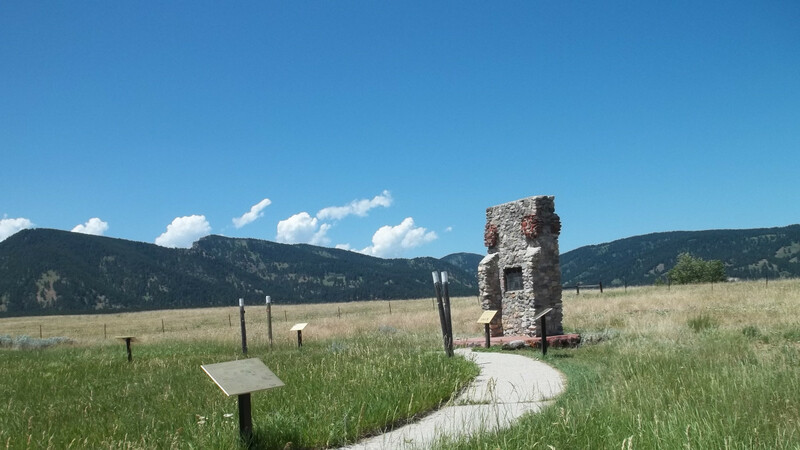 Fort Phil Kearny State Historic Site is located just 20 miles south of Sheridan on Interstate 90, Exit 44. At the Fort location the visitor will find an interpretive center with exhibits, videos, bookstore, and self-guided tours of the fort and outlying sites. The fort tour leads the visitor through the site to building locations, archaeological remains, and interpretive signs pinpointing the surrounding historic landmarks. A Civilian Conservation Corp Cabin has been refurbished to depict the quarters of an Officer’s wife and a Non-Commissioned Officer’s Quarters. In addition to the historic interpretation, this site provides three picnic areas and a restroom for visitor use. 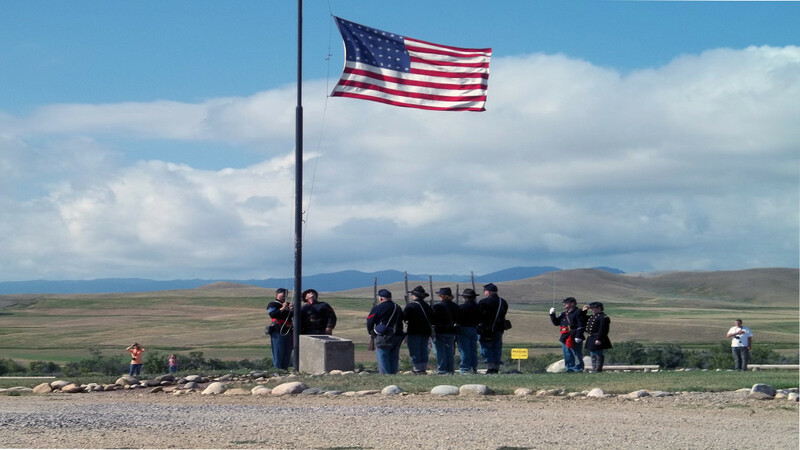 The two satellite sites of Fort Phil Kearny are the Fetterman Fight and the Wagon Box Fight battlefields. These two sites are located within a five-mile radius of the Fort Phil Kearny Visitor Center. Maps to the sites and interpretation are available at the Visitor Center. At both battlefields, the visitor will find an interpretive trail which leads through the battle providing both Indian and White perspectives of the conflict. The visitor can go to the actual locations of the skirmish lines and Indian charges and see the weapons and personnel involved. The Wagon Box Fight site provides the visitor with restroom facilities; also a picnic area where they may relax and enjoy the beautiful scenery. All interpretive trails and facilities are either partially or fully accessible for the ADA. Guided tours of these three sites for social groups, schools, or special events may be scheduled through advance reservation. 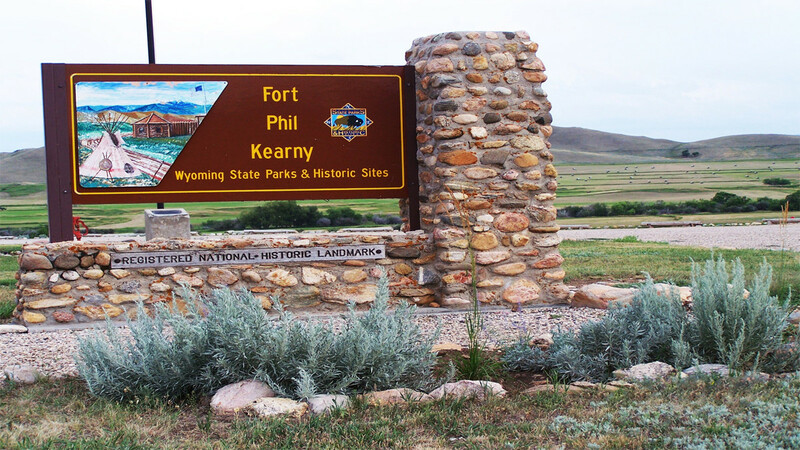 Fort Phil Kearny is designated "day use only." There is no camping allowed at this site. The nearest State Park campground is Connor Battlefield located at the town of Ranchester.